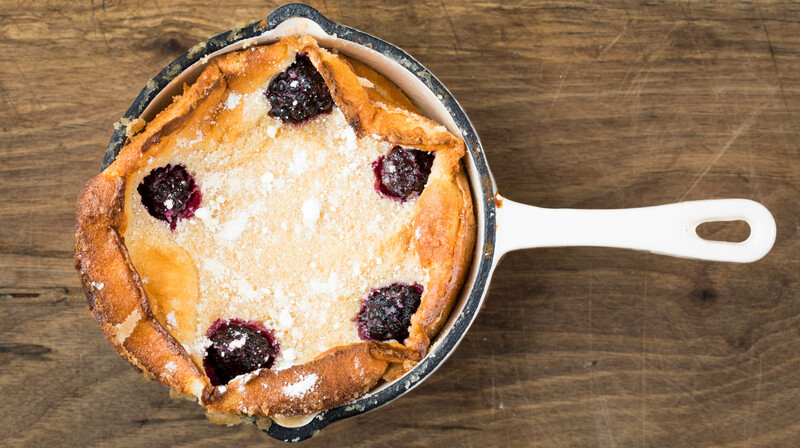 It’s a great idea to make the batter 24-48 hours in advance as the Clafoutis’ will cook almost like a sweet Yorkshire pudding and give you a beautiful rise around the outside- and the dry heat of the oven gives a unique texture to the batter. You can use any berries you like with this recipe too making it suitable all year round…..
To make the batter, combine all the ingredients except the butter in a bowl and mix well with a whisk or hand blender. Once smooth, gradually add the melted butter whilst continually mixing until all incorporated into the mixture. 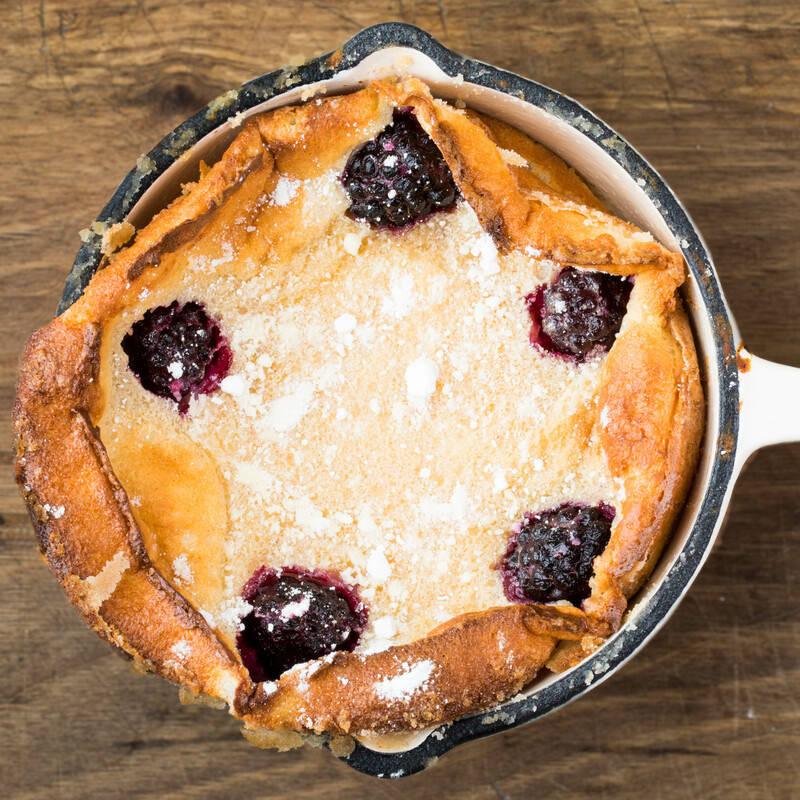 You can cook the clafoutis in one dish or four individual ones- it’s up to you- but ensure you butter and sugar whatever you choose and chill it down for at least 2 hours before using. When it’s time to cook, ladle the mixture into you buttered and sugared moulds or dish, dot around the blackberries and cook in the oven for around 30 minutes.